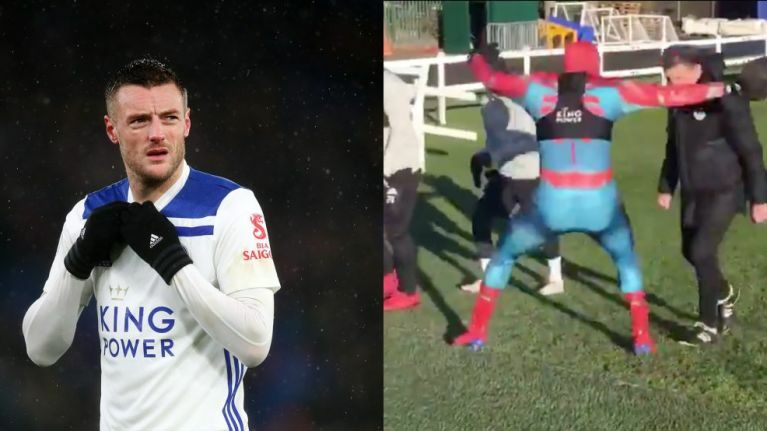 Nope, just Jamie Vardy, dressed in full Spider-Man costume, hiding behind a bush, then jumping out and trying to scare his manager. Absolutely nothing at all. The video below was posted to Leicester City's Twitter page on Thursday morning; a further tweet later revealing that the mysterious figure in the suit was Vardy. Why exactly the former England stiker decided to do this isn't exactly clear, although Claude Puel did at least try and explain it later on. Despite recording impressive wins over Manchester City and Chelsea over the Christmas period, the Foxes haven't had the best of starts to 2019. Though they beat Everton at Goodison Park on New Year's Day, consecutive defeats - first in the FA Cup to Newport County; then to Southampton in the league - have heaped the pressure on Puel. 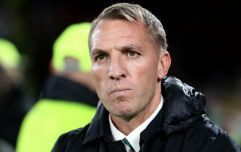 With some reports linking Brendan Rodgers with his job, the Frenchman suggested Vardy's antics were an attempt to lighten the mood amongst the squad. "We need a superhero," Puel joked. "He dressed up and I think it brought a good smile and good freshness this morning. "They had a day off yesterday and they came back with a smile and I appreciate it a lot. "We know Jamie. I am not surprised about him. He wanted to take the pressure off the team. I appreciate it." Leicester are away at Wolves on Saturday, before a difficult run of fixtures sees them take on Liverpool, Manchester United and Tottenham in succession.